The Post Office in Martins is closing on the 15th September at 17:30 and the new one reopening on the 23rd September at 13:00. 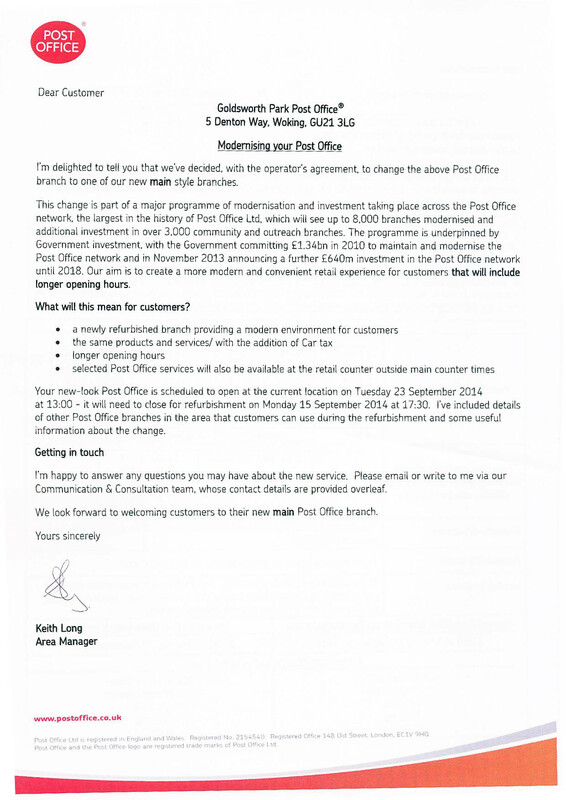 The new Post Office will have longer opening hours with some services being available at the shop counter. The nearest alternatives are in Horsel, Knaphill and St Johns.